Wilda passed away on Thursday, January 24, 2019 at East Gate Lodge at the age of 86. 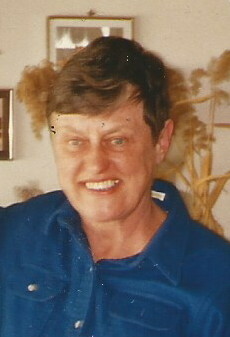 She was predeceased by her mother Verna in 1959 and her only brother Ray in 1991. Wilda was born and raised in Winnipeg. She took a summer job as a messenger with CN Telegraphs at age 15, intending to return to school and go through for Veterinary Medicine, but family illness prevented further education and she stayed with CNT for 39 years. She retired in 1986 and bought her dream home on Brokenhead River near Beausejour where she could indulge in her lifelong love of animals – pets and wildlife. As per Wilda’s wishes, cremation has taken place and no formal service will be held. In lieu of flowers, friends who wish may make donations in Wilda’s memory to Manitoba Mutts Dog Rescue Inc., P.O. Box 34040, 7 Killarney Ave., Winnipeg, MB R3T 5T5 or Manitoba Underdogs Rescue, 23-845 Dakota Street, Suite #382, Winnipeg, MB R2M 5M3. My heart is saddened by the loss of Wilda. She was a staple of River Road North and will be missed.